Simple, Easy, Quick Home Networking Solutions! We here at Telxcomputers, we love technology with all the incredible things that it can accomplish and the abundance of extras it brings to everyday life. However we understand it its intricacies, and are aware that it may not be as simple to implement for some folks too busy to be tech geeks like us. So with that in mind here is a simple guide on networking your gadgets in the household. 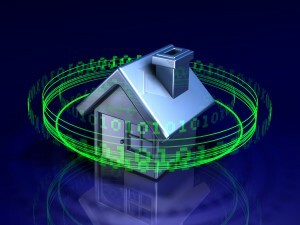 The average home today has several devices that are capable of taking full advantage of the internet but most people are unable to do so as homes are rarely wired for internet in every room. The easy solution, Wireless routers capable of delivering high-speed data access to most if not all parts of the house with the new standard known as 802.11N. To top that off they have become cheaper to purchase and simpler to use as most devices are simple plug into your internet modem style plug and play. The tricky part is making sure your home network is as secure as possible with a strong password only family and friends know. There are usually two ways to implement password protection on your home networking device, the simplest is to have already purchased one that comes with a CD that gives you step by step instructions on installation with prompts for choosing an original wireless network name for your home and a password encryption for access to the network. The second and the techie way of implementing secure access is to log directly onto your modem by finding you IP’s gateway address and imputing that into your browser which will then give you a prompt for your routers default access username and password. Now each WIFI router device maker uses a different default logon so you want to make sure to research your make and model to find this information, and while you’re at it you should go ahead and research how to change your default logon password and implement a secure wireless password to protect your network as again each maker has a different way of doing this. It’s that easy, at that point you’re ready to input that password into the wireless network device of your choosing whether it be the kids gaming console for online play or your laptops, Ipads, Ipods Or Iphones so they can work from bed, couch, the porch or wherever you would like.